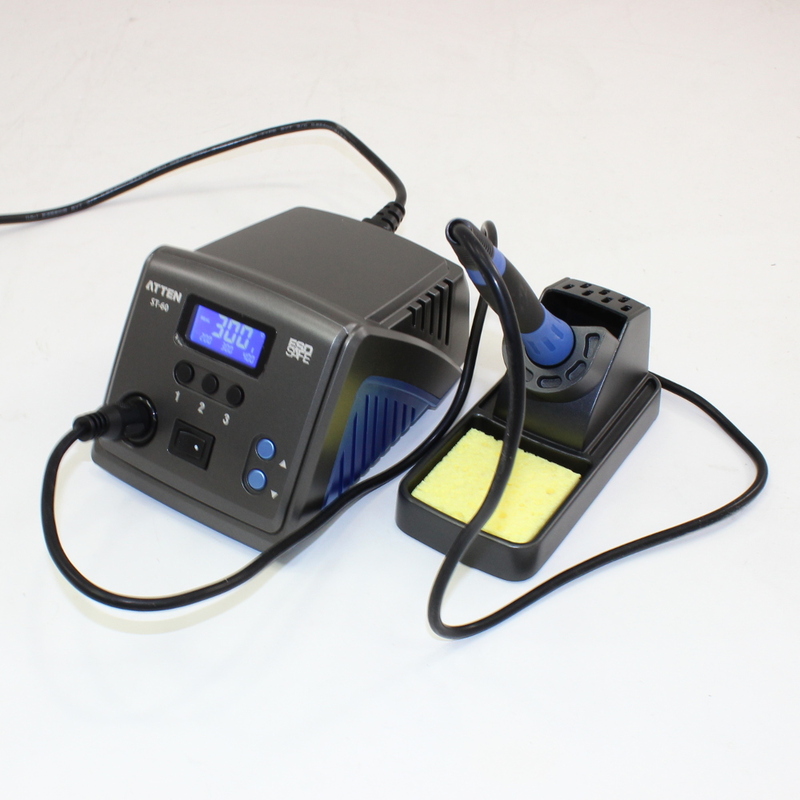 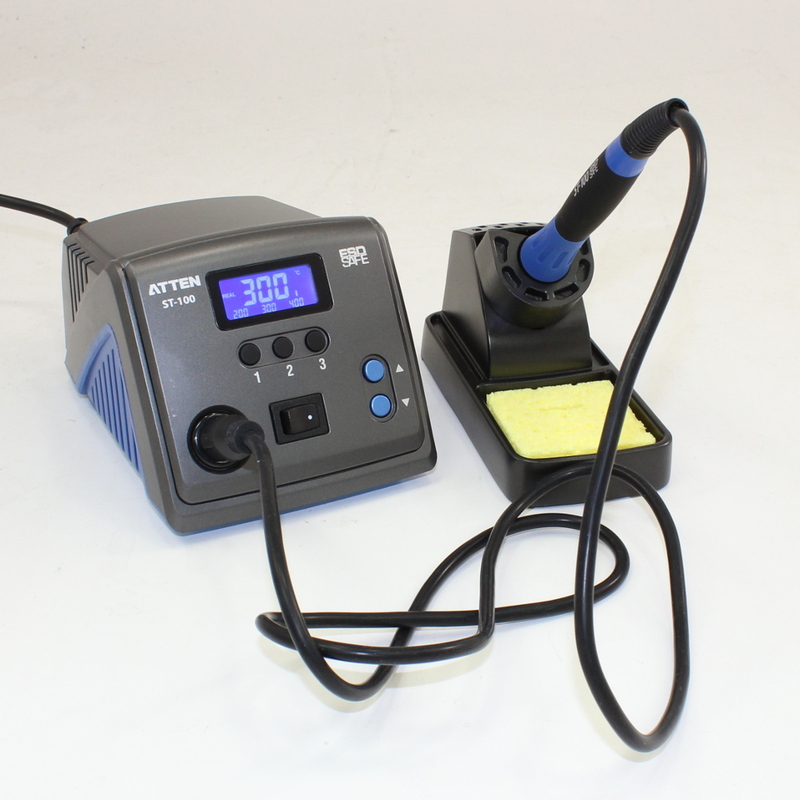 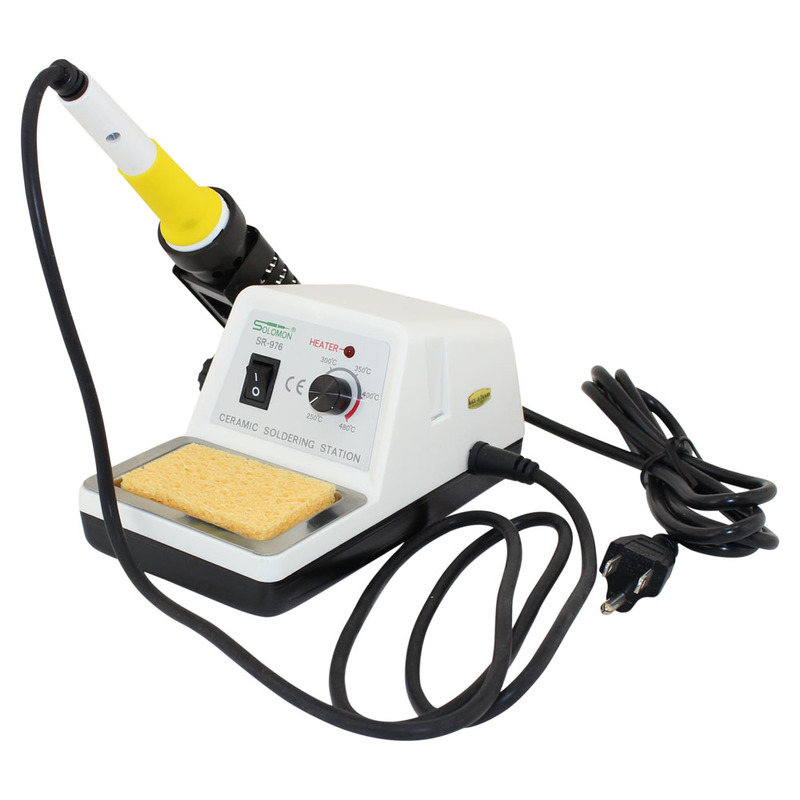 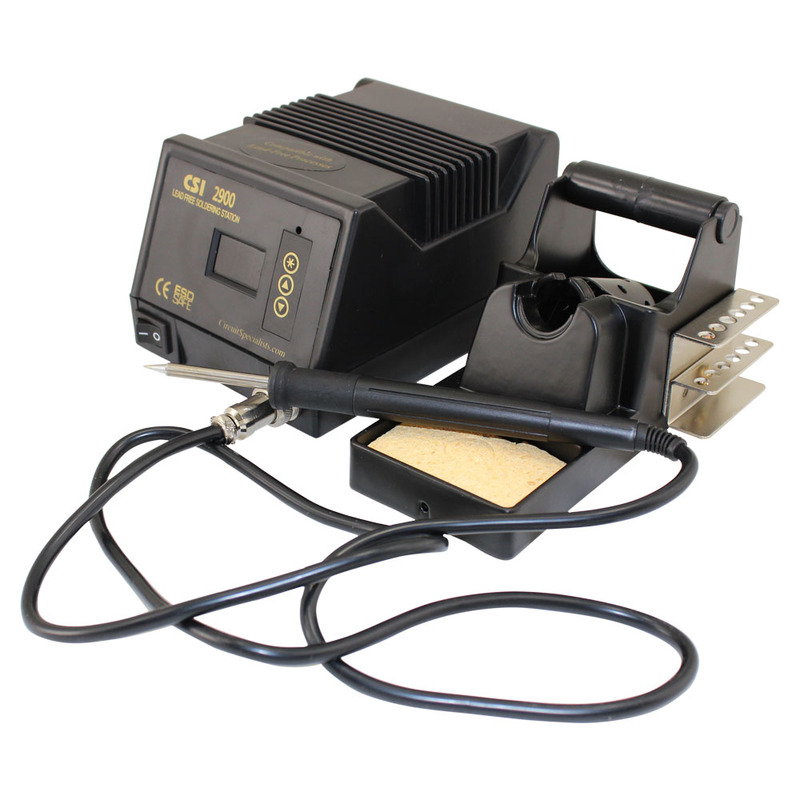 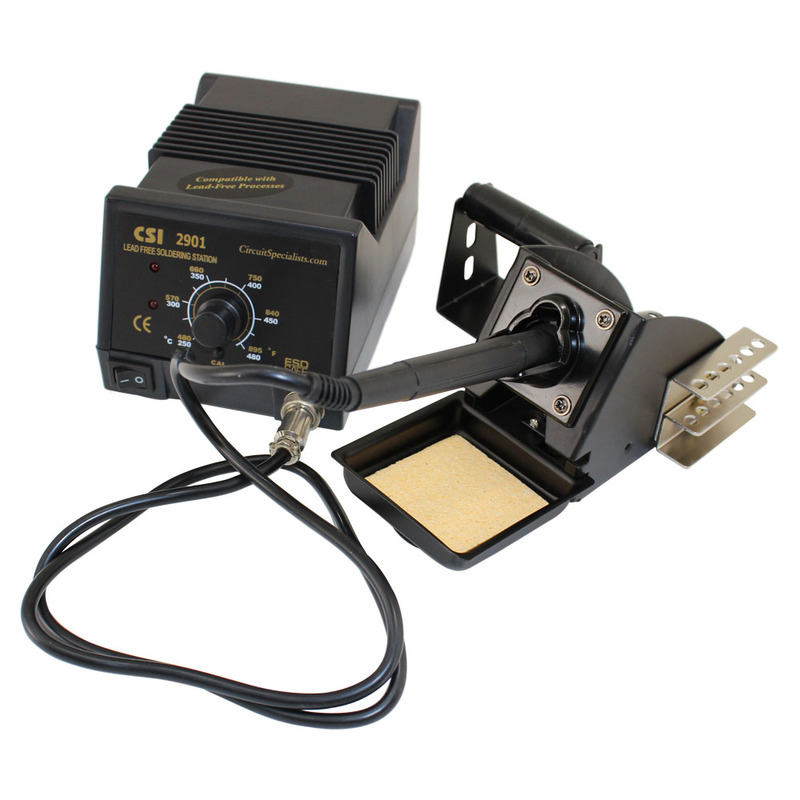 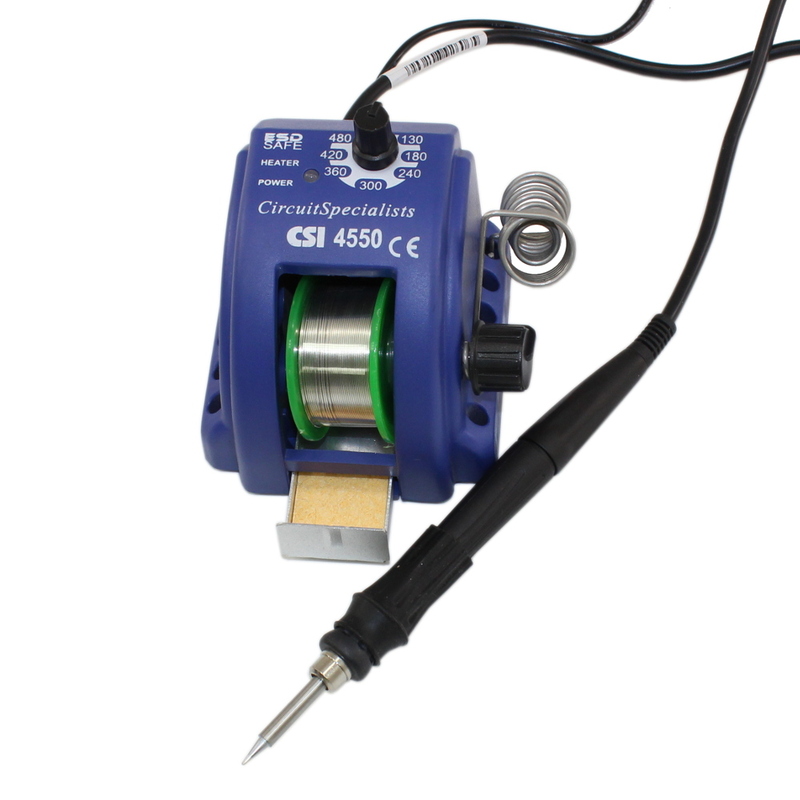 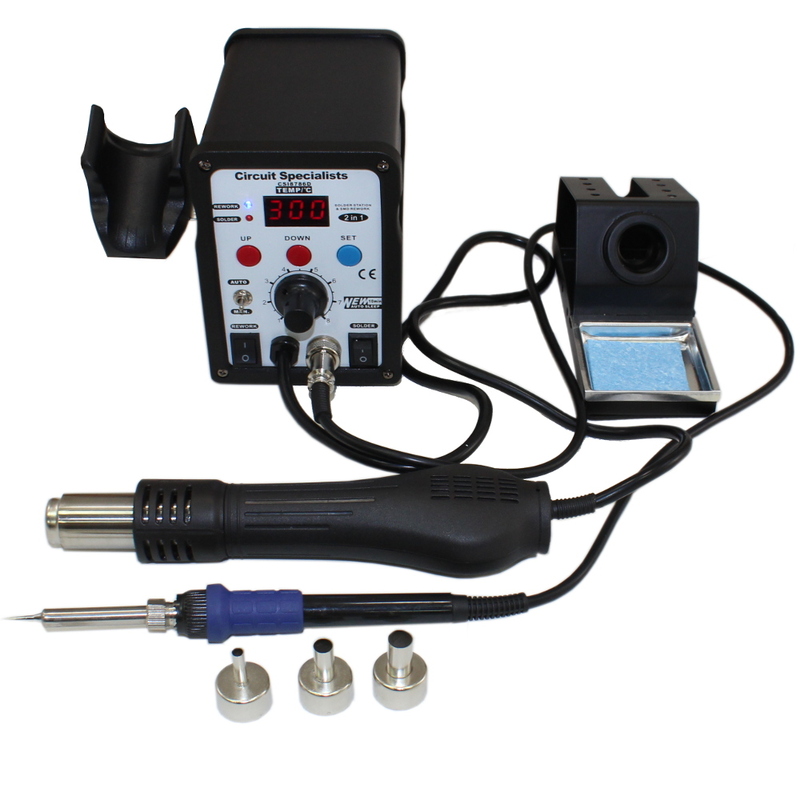 Consider upgrading to a Circuit Specialists’ soldering station, which have a number of advantages over corded soldering irons including variable temperature and responsive current control, interchangeable irons and soldering iron tips, and more power in a smaller package — a soldering station iron is smaller than a traditional corded iron, making it comfortable to hold for longer periods of time. 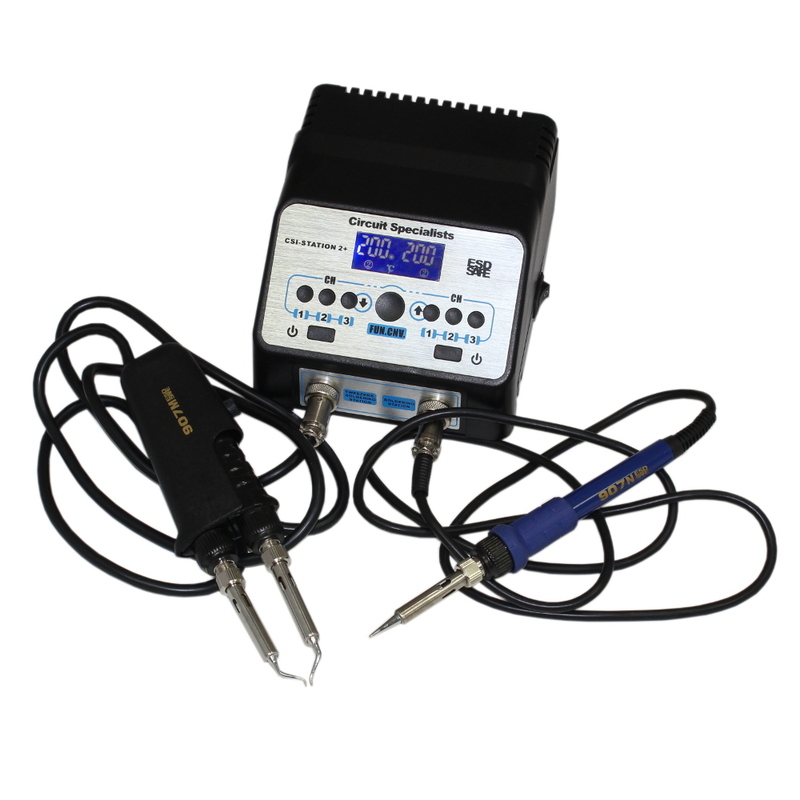 Our traditional and lead-free soldering stations feature ceramic heating elements up to 70 watts, easy-to-read displays, and rugged aluminum iron holders. 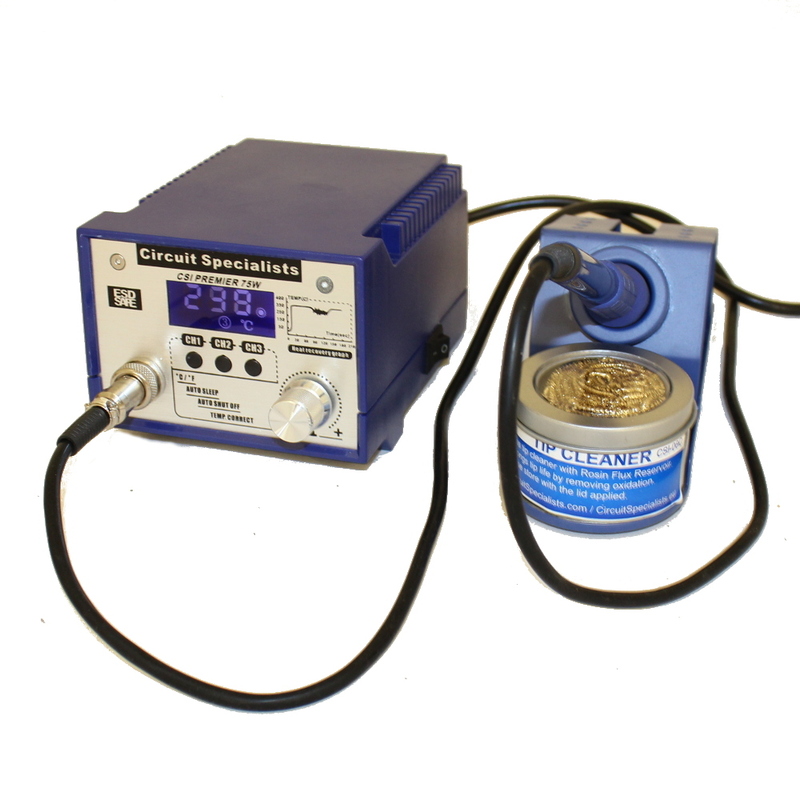 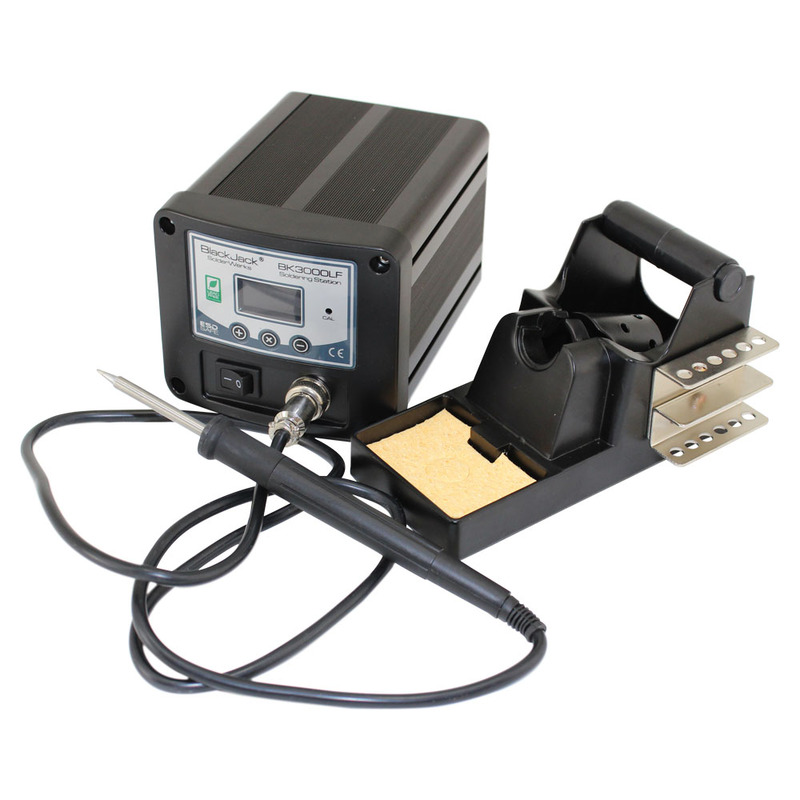 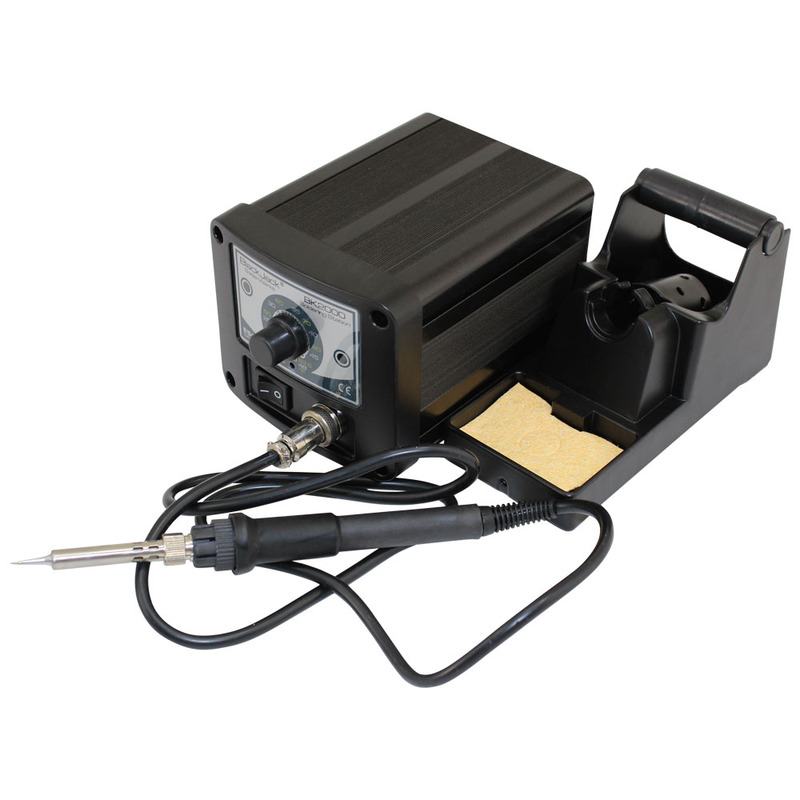 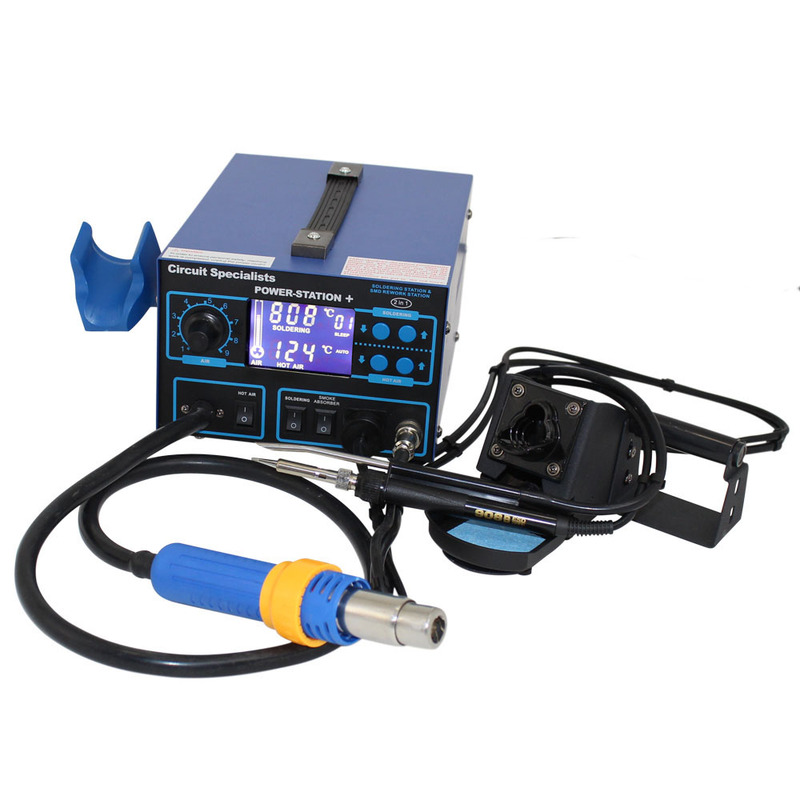 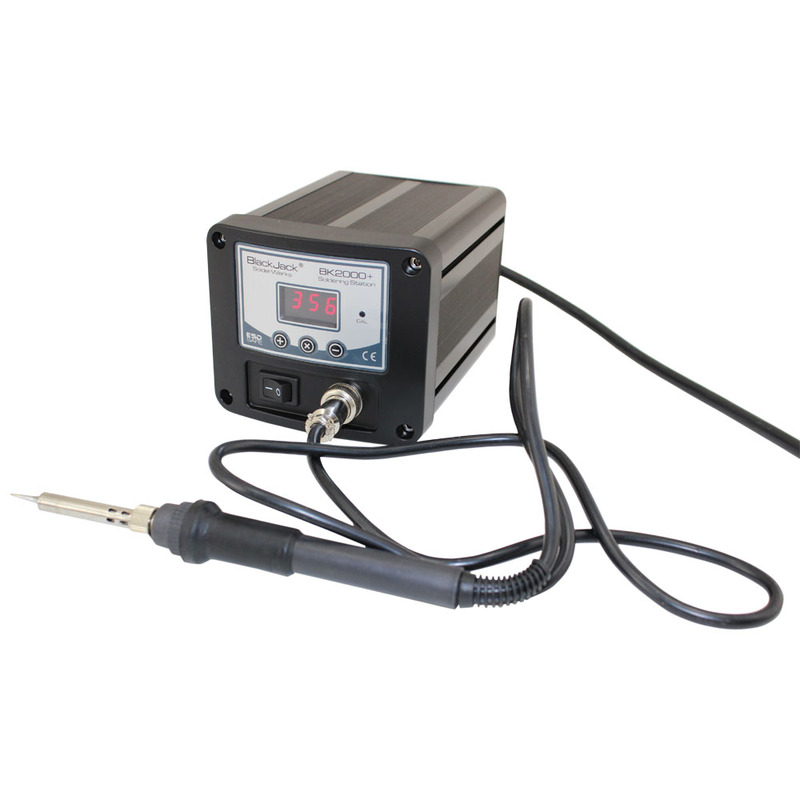 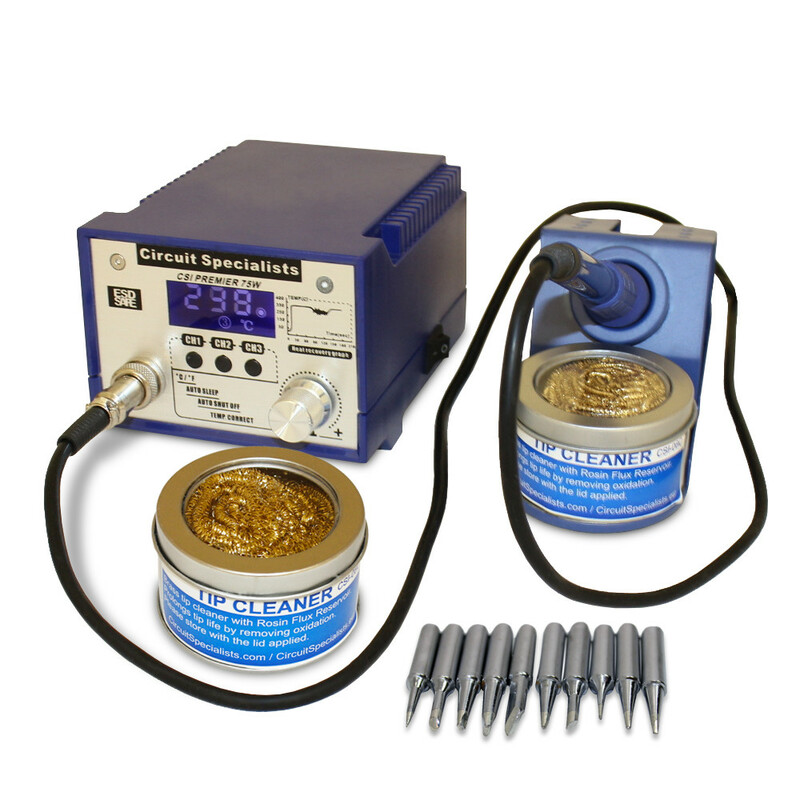 We also offer combination hot-air rework/soldering stations to save you time and money.